Circle Thursday, May 2nd - Monday, May 6th 2019 in your calendar, for a New York City Ride you'll never forget. 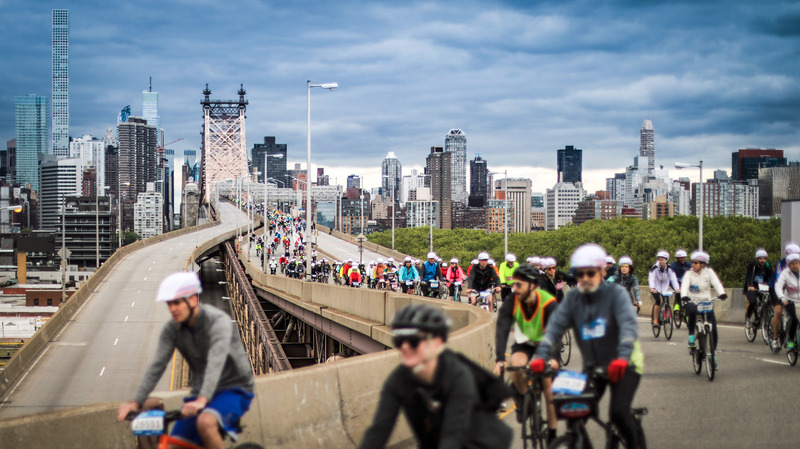 John Clausen, Phil Sokolowski, and Al Magnanelli are organizing a group to participate in the TD Five Boro Bike Tour in New York City which takes place on the first Sunday in May (May 5th). The trip price is for accommodations only - this price does not include any food, transportation, or the registration fee to get into the ride (see the Cost section below). Two apartments have been booked. Both are in Jersey City, New Jersey. The first venue is at 479 Manila Avenue, and the second venue is at 546 West Side Avenue. Both places offer secure bike storage, and reasonable rates. The West Side Ave location is further away, less luxurious, and is less expensive. The 5 Boro ride began in 1977 with 250 riders. This year 32,000 riders will cycle 65 kilometers through streets closed to traffic and across all 5 of the boros of New York City. With bands and music throughout the ride, and a big party at the end, this is sure to be a ride you won't forget. Note that because of the numbers, this ride takes place at a "relaxed pace". NOTE: Each participant is responsible for registering for this Ride. TBN is organizing the accommodations and carpooling from/to Toronto/Jersey City. Cost for accommodation for four nights from Thursday night to Monday morning depends on whether you occupy your own bedroom, sleep on a sofa bed in a common area, or share a room with another rider. Once the participants have been finalized, riders will be invited to pair up to car pool. For people car pooling, passengers will be expected to pay for gas (approx. $100 fuel cost one way to be split among the passengers). Attendees who want to go early or extend their stay afterwards can do so, but will have to find their own accommodation for the additional days. Members who want to join the TBN team but find their own accommodation are welcome to do so. Note that all that we are organizing is the accommodation and transportation - participants will register for the ride on their own.